"Red robe, fair depth. The nose leads on raspberry fruit with a note of blackberry, along with spice, licorice – it isn’t right out today, but has scope. There is some rose hip, a coulis style fruiting, and pepper as well. This is spiced, hidden wine, its shape upright, one that weaves a slight zig-zag, delivers moments of rocky tannin. The gras and juice are pleasing for now, and are well camouflaged by its tannins, which are ripe and crunchy. The finish is tight. This has Mourvèdre licorice breadth. The heart is juicy, with intense juice at its epicentre. 14.8°. (“It is very Mourvèdre, also on kirsch. It will keep well over time. 2013 is the year that has most gained in my career since 1987 from its 12 months of barrel raising,” Vincent Avril.) From 2019." "Looking at the 2013 Chateauneuf du Pape, which is still aging in foudre, Paul-Vincent normally does four separate blends and keeps them in separate foudre (one with more Mourvedre, one with more Syrah, etc.) before blending everything together prior to bottling. However, due to the minuscule crop in 2013, he was only able to do a single blend. Nevertheless, I was able to taste it from multiple foudres (and unsurprisingly, each showed dramatically different), with most rating in the low to mid-90s. From excruciatingly low yields and hitting 14,8% alcohol, it's clearly an outstanding wine and has pretty, complex aromatics, excellent concentration, medium to full-bodied richness and lively acidity. There's a slight Burgundian feel here, and I suspect it will be reasonably approachable in its youth, with 10-12 years of overall longevity. Anticipated maturity: 2015-2025. 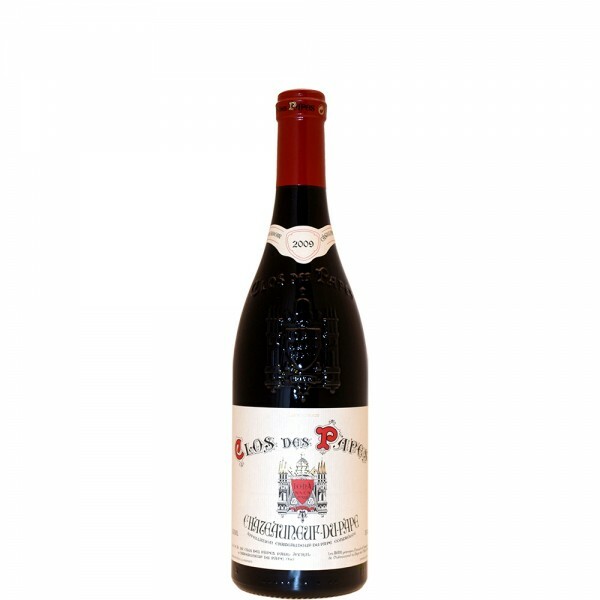 "Tasted out of bottle, the 2013 Chateauneuf du Pape comes from miniscule yields of 13 hectoliter per hectare (25-39 hectoliters per hectare is normal for the appellation), and hits 14,8% natural alcohol. It has a darker, slightly more concentrated, austere feel than the 2014, and has ample kirsch, blackberry, peppery and crushed rock-like aromas and flavors. Vincent commenated that he thinks this vintage will shut down after a few years in bottle, so if you're going try one in its youth, find the corkscrew. while obviously not a great wine, it's certainly outstanding and has considerable charm and elegance. It will also have 10-15 years of overall longevity." Kundenbewertungen für "Clos des Papes 2013"